You are here: Home / Articles & News from the Bush / Guides / Where’s the Best Place to go on Safari? 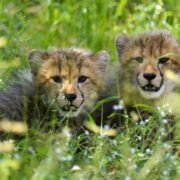 Blog 2 of 4: Where’s the Best Place to Go on Safari? In our previous blog we explored “What do you want to experience on safari?” but in this blog we’re going to look at where the best places are to go on safari. Not surprisingly, when we ask most people where they want to go on safari, the default answer is typically “the Serengeti!” Kenya was established as the East Africa Protectorate in 1895 and a few years later in 1920, a colony. East Africa safaris became popular in the 1920’s (typically hunting safaris) and the world fell in love with Africa thanks to the well known movie “Out of Africa” that beautifully featured Meryl Streep & Robert Redford at their best. So in spite of great marketing, is the Serengeti really where you want to go or are there actually other choices that would better suit your safari interests? Let’s start at the beginning and look at the safari map of Africa. We refer to two distinct safari regions, namely East Africa and Southern Africa and within these two regions are 11 safari countries each with their own spectacular wildlife offerings. As with any country you travel to, there are pros and cons of both regions. 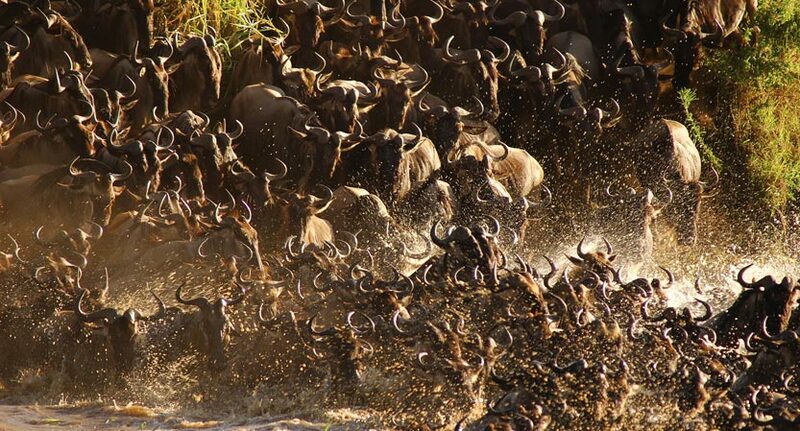 The “great migration” of over a million wildebeest across the Serengeti plains. The awe inspiring Ngorogoro crater is 300 square kilometers of wall to wall wildlife. Zanzibar Island off of the Tanzanian coastline offers an exotic blend of beach and culture. Mount Kilimanjaro at 5895 m is Africa’s highest mountain and offers a challenging climbing opportunity to experienced and inexperienced climbers alike. If you want to see primates, this is the place! Gorillas and chimpanzees as well as a raft of other primates are unique to this area. Untamed areas such as Southern Tanzania offer a true wilderness experience that is far from the crowds and modern life. Easy access to the Masai and other tribal, cultural experiences are readily available. Great densities of cats, elephants etc depending on the season and areas visited. Guiding qualifications are minimal at best. 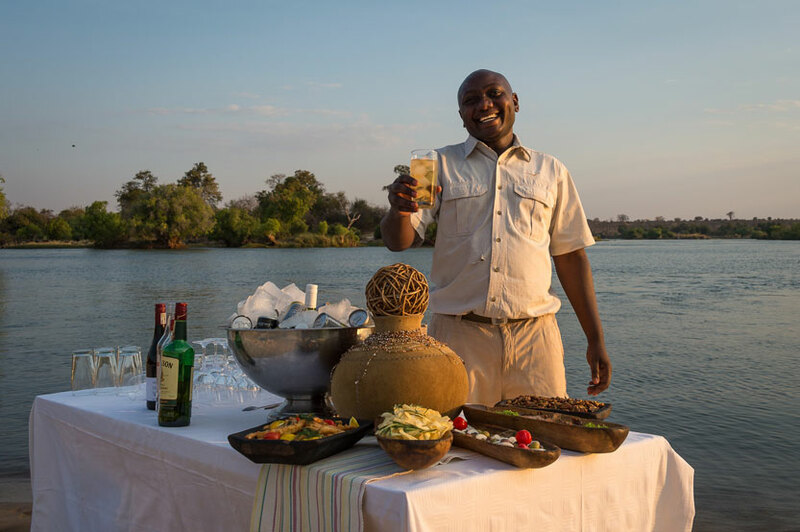 This is not to say there aren’t good guides in East Africa but the reality is that you may or may not have an adequately qualified guide which will have a huge impact on your safari experience. Crowds! Particularly during high season, wildlife areas can be overrun with crowds and jostling vehicles (up to 200 in the Serengeti or Ngorongoro Crater) all trying to access the same animal sightings. Private concessions and reserves are an option that offer a less crowded experience, however you will pay top dollar for the privilege. In many reserves, the local population share wildlife areas so human/wildlife conflict is a reality. Daily park fees are exorbitant and aren’t always included in accommodation costs. In some areas they’re US$200 per person per day and sadly national park facilities rarely reflect the investment you’re making towards the parks maintenance. There are greater limitations imposed on activities such as night drives, game walks and off-road driving unless you’re visiting the more expensive private reserves. Closed vehicles are also far more the norm in East Africa, creating several viewing restrictions particularly for those interested in photography. Zanzibar experiences huge tidal differences and can be very crowded. It’s a slice of paradise but don’t have any allusions that you’ll be enjoying it alone! 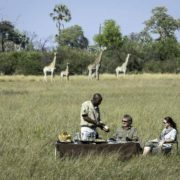 Over the last 30 years or so, Southern Africa has really been coming into its own as an outstanding safari tour destination and offers a truly sensational product so let’s explore its pros and cons. The best and most consistent guide licensing standards in Africa. Guiding regulations particularly in Zimbabwe, Zambia and Botswana are extremely stringent and add significantly to the safari experience. 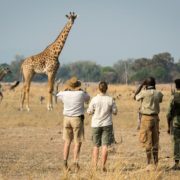 Southern Africa offers a far more diverse experience in conjunction with excellent and wildly varied wildlife viewing. Cape Town and the wine lands, Victoria Falls and other natural wonders, the Namibian desert experience and numerous adventure activities such as shark cage diving and cultural experiences are easily accessible. Game viewing is absolutely top notch with massive concentrations of animals to be found in the dryer months in particular. The variety of species is simply mind blowing. Generally better infrastructure provides relatively easier and cheaper access, particularly in South Africa. Daily park fees are very reasonable and are generally included in accommodation costs. Environmental standards and expectations are higher as a rule. 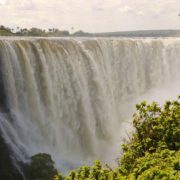 Botswana in particular has pursued a very unique course in pursuing a low tourist volume, high value experience with strict environmental controls. Many excellent private reserves that offer affordable prices. Of course there is also the option to really splurge on the super luxurious and expensive “private” experience as well. Client numbers in the private reserves are tightly controlled as are the number of vehicles attending a particular wildlife sighting (max 3). Small and intimate camps are the norm with open safari vehicles being exclusively used for better game viewing opportunities. Wildlife areas and human habitation are kept separate. There are still great tracts of wilderness that are set aside exclusively as wildlife preserves and programs to benefit local communities that live around these fringes are central to the planning and maintenance of the reserves. Mozambique offers exceptional and uncrowded beaches. South Africa provides the cheapest safari tour option overall while offering extremely good value for money. 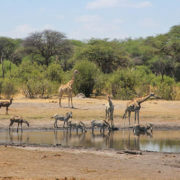 South Africa has a number of great game reserves in malaria free areas making it an obvious choice for family safaris. Southern Africa is a safe tourist destination; however care needs to be exercised in South Africa itself as the country does suffer from higher crime rates than what most of us are used to. South African game reserves are certainly safe, but urban areas and self-driving are not recommended apart from Cape Town and the garden route. All the other Southern African countries certainly offer a safe experience to the tourist. It’s definitely farther away from North America and Europe than East Africa affecting flight times and cost. Botswana’s extremely high environmental standards and highly regulated tourist numbers definitely make it the most expensive safari option. However, your money is VERY well spent! The experience is as close to pristine wilderness as you can possibly image in our modern world. Know where you’re booking as some reserves in South Africa in particular are relatively small and offer a more contrived feel rather than a sense of real “wilderness”. So is it possible to combine East and Southern Africa in one trip? Yes, you certainly can presuming that you have the time and budget. If you do decide this is what you want to do, here are some considerations to keep in mind. Inter African airline travel in particular is very expensive, less convenient and more time consuming than travel confined to either East Africa or Southern Africa. Because of a more limited airline schedule, expect to spend a couple nights in cities as transit stops. Yes we have given you a lot to think about but thankfully as we are experts in the safari industry we take the pain out of planning a safari for you. We love to meet with all our guests personally if possible as getting to know you better means we can perfectly suit your wishes with your timeline and budget. 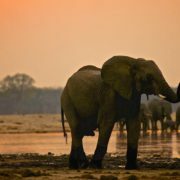 Africa is by far the best travel experience in the world and we want you to have the most phenomenal trip of your life! So whether you decide to visit East or Southern Africa, just make the decision to go and give us a call, you will be so glad you did! I liked the post… I have thought to go sightseeing again in the regions of South Africa this month! One of the things I like most about this region are the rich places for sightseeing and entertainment and besides these buildings and houses reminds me of many movies… really is a wonderful place to visit in the summer season. I’ve met some regions of this country, and actually cooking has left me with water in my mouth. The city has restaurants with very tasty menus and also has great places for family outing and the options of walking to see wildlife that is only in this region in the world. Hi Luana, thank you for liking our post and it sounds like you had a wonderful time in South Africa. We totally agree, besides the wildlife, the food is incredible!! What Do You Want to Experience on Safari? What Will a Safari Cost Me?